Thank you so much for all your help. The Amerigo Alto is a perfect fit! [My mare] really goes well in it. One of the best feelings I’ve had in a dressage saddle on her ever! The Amerigo Cervia works absolutely perfect. Ginny is not an easy customer when it comes to dressage saddles, but she actually likes this one, not just tolerates it. I have been able to sit and ride and not feel her back get really tense, as is the case … in literally every dressage saddle I’ve ridden her in. The Amerigo CC MF Event fits perfectly too. It certainly makes a huge difference in how my mare uses her shoulders over the fences. 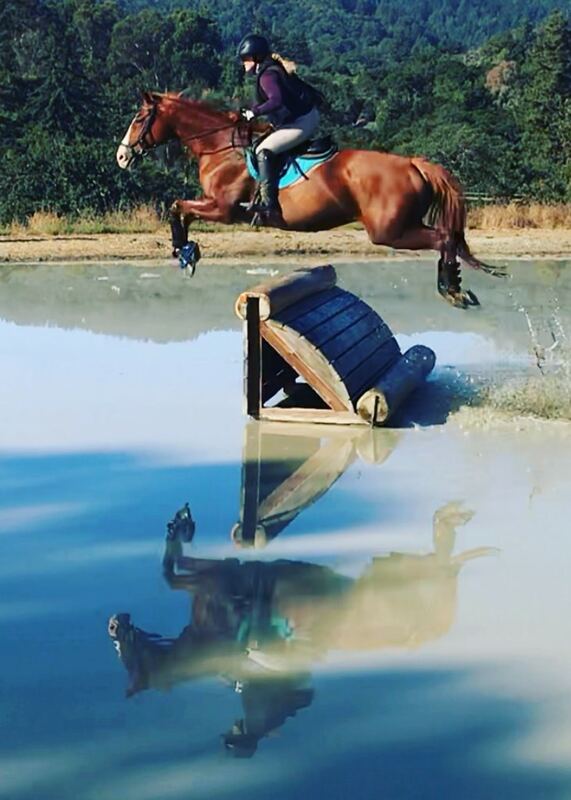 This picture is my mare and I in the Event saddle through an intermediate water combination. I’m so excited about how the saddles work for my horses!! we’re all so much happier. I’m so grateful I found your company!